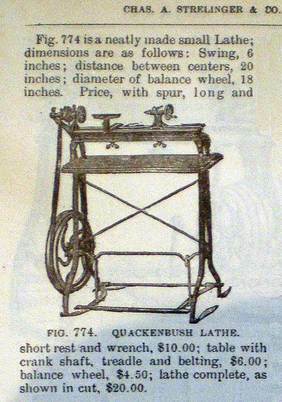 The Quackenbush surname has a unique distinction in American history. It is one of only a few surnames in North America which can be traced back to one single progenitor – Pieter van Quackenbosch. Records indicate that the name was primarily concentrated in a region of Holland (Leyden) and family genealogists have estimated that there were actually very few people with that name at any given point in time. One family researcher noted in The Quackenbush Family in Holland and America that the modern spelling (at least in the early 1900’s when the book was published) would be with “Kw” instead of “Qu” and even that spelling is unknown. Records in Holland indicate that even though the family was few in number, they were established enough to serve in various civil offices. The “van” prefix didn’t necessarily imply any sort of rank as would the prefix “von” in Germany, perhaps just meaning “of” of “from”. “Quackenbosch” would be derived from “quakken”, or to croak like a frog and “bosch” would mean a bush or thicket. So perhaps the family lived in a wooded area near a pond where frogs were numerous and noisy. The name had appeared as early as the fifteenth century and hadn’t varied one letter in spelling by the time the American progenitor immigrated in 1660, something quite unusual. Other spelling variations include: Quakenbaush, Quakenbush, Quakenbusc, Quackenbush, Quackinbush, Quackenbos, to name a few. Highlighted below are the American progenitor, Pieter van Quackenbosch and his family and a successful inventor and industrialist born in the nineteen century, Henry Marcus Quackenbush. 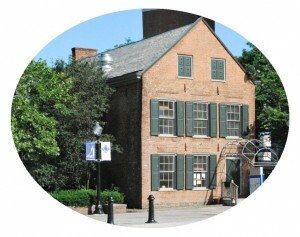 The reference material for Pieter’s history is taken from The Quackenbush Family of Holland and America (QFHA). According to QFHA, Pieter van Quackenbosch was born in approximately 1639 and a resident of the village of Oegstgeest. At the age of twelve he enrolled first in Leiden University and then in Gronigen to study theology. However, he suddenly left in 1659, perhaps to join a group immigrating to the New World. Since he came to North America with his wife and young son, presumably he had married while still in school. In 1660 at the age of twenty-one, Pieter arrived in New York (New Netherlands) and soon after his arrival he purchased property. This alone points to the fact that he was likely from a well-established family with a higher position in society than most immigrants (many came over as indentured servants, for instance). Records indicate that he had intentions to settle somewhere other than Peter Stuyvesant’s colony. Since he eventually started a brick business, it’s possible he was looking for a more suitable location. Albany, or Beverwyck as it was called, would fit the bill since there was an abundance of clay in that region. The Dutch were well-known for their brick making, so it may have been the most natural occupation for him to pursue upon arrival in America, according to QFHA. By 1668 Pieter had presumably prospered enough so that he was able to purchase the brick yard he had previously occupied (rented). His wife Maritje probably died in 1682 as records indicate he paid for the use of a large pall, a heavy cloth covering a coffin or tomb. One of the oldest buildings in Albany today, the Quackenbush House, is listed on the National Register of Historic Places. It was built in the 1730’s by a descendant of Pieter. I found no more specific references to brick makers, although Pieter’s son Wouter probably inherited his father’s brick making business. Sacred to the memory of Col. Henry Quackenbush who having lived the life, died the death of the righteous. Col. Quackenbush was with Lord Amherst at Ticonderoga and General Gates at Saratoga. “In the days that tried mens souls”. After the war, Henry had the distinction of being one of the presidential electors. Henry Marcus Quackenbush was born on April 27, 1847 in Herkimer, New York to parents Isaac and Mary Anne (Rasbach) Quackenbush. Henry was said to have been mechanically-oriented, a tinkerer. At age fourteen he began an apprenticeship with Remington Arms where he became an expert metal worker and gun maker. On October 22, 1867, he received a patent for his first invention, the extension ladder and sold the patent for $500. In 1871, the H.M. Quackenbush Company was founded in Herkimer. His first air gun pistol patent was issued on June 6, 1871. The patent was sold to the Pope Brothers of Boston who made and sold the gun. In 1876, the company began manufacturing air rifles. In the coming years the company would mass produce “gallery guns” for carnival and arcade shooting galleries. However, guns weren’t the only thing Henry invented. Over the years he invented various kitchen gadgets (the Quackenbush Nutcracker), scroll saw, foot-powered wood lathe, darts, stair rails, bicycles and much more. 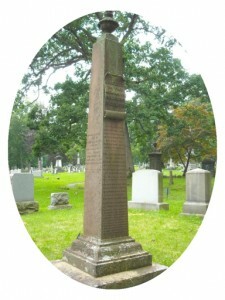 Henry Quackenbush married Emily Wood and they had two children together: Paul Henry and Amy. When Emily died in 1895 he married Flora Franks and they had two children: Franks and Henry Marcus, Jr., who was born in 1904 and died in 1910. 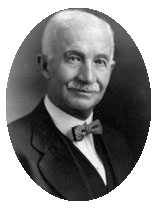 Henry died at the age of 86 in 1933. His company was incorporated the year following his death and during World War II, the company manufactured military supplies such as bullet cores and shell casings. In 1979 the company merged with Utica Plating Company and transferred the marketing and distribution of their products such as the nutcracker to another company. The downsized company experienced a gradual decline and in 2005 filed for bankruptcy and closed its doors. There is a web site dedicated to “All Things Quackenbush” if you’re interested in knowing more about this family. You will find stories, news, blogs, photographs and much more about a proud American family, all of whom descended from Pieter van Quackenbosch. Great stuff. A families history is very important. You are so welcome .. and thanks for stopping by! Do you know anything about an Alex who had a business in Paterson, NJ? Died in 1050 in his 50s. Knew about the family. It had several connections to presidents. 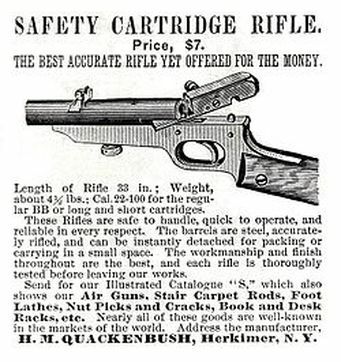 The Quackenbush Rifle. Was made during the civil war by HM Quackenbush. Try the Quackenbush coffee from Oregon.